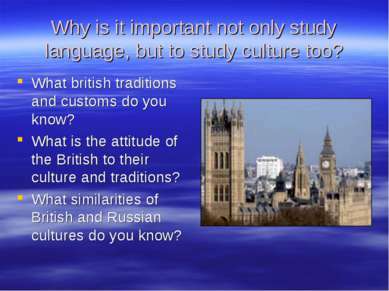 Why is it important not only study language, but to study culture too? 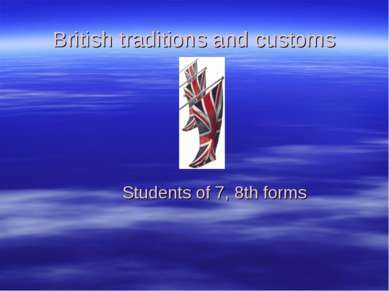 What british traditions and customs do you know? 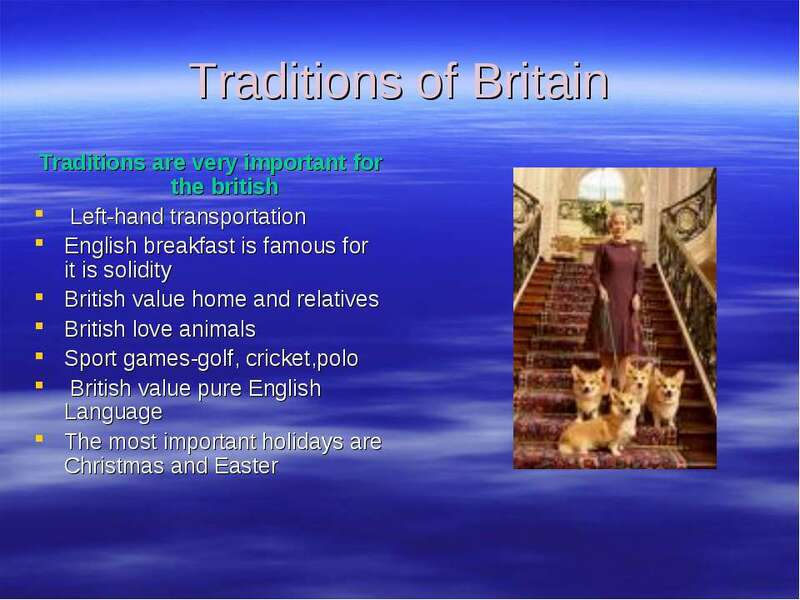 What is the attitude of the British to their culture and traditions? 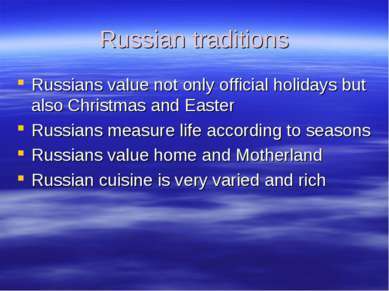 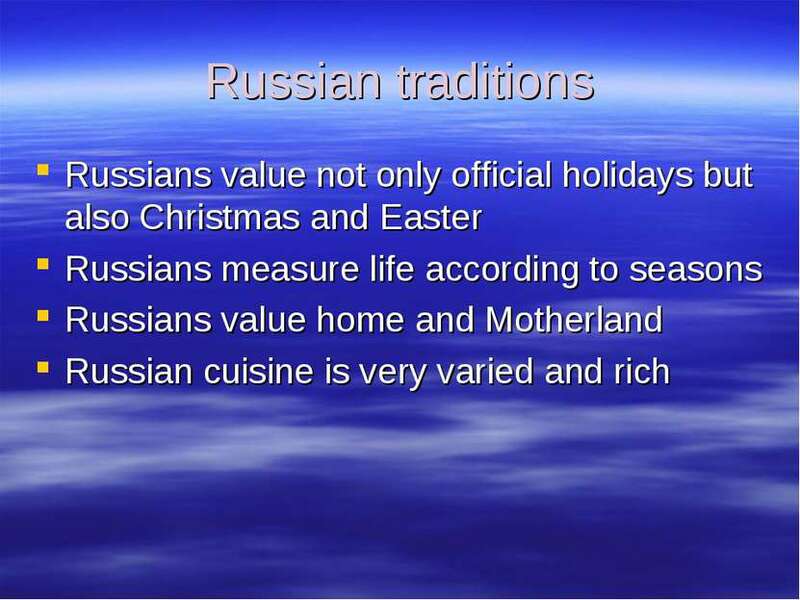 What similarities of British and Russian cultures do you know? 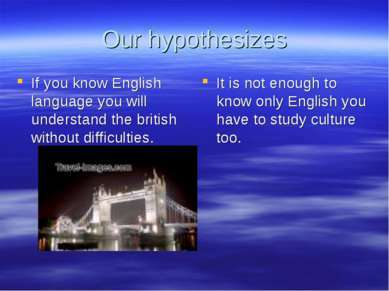 Our hypothesizes If you know English language you will understand the british without difficulties. 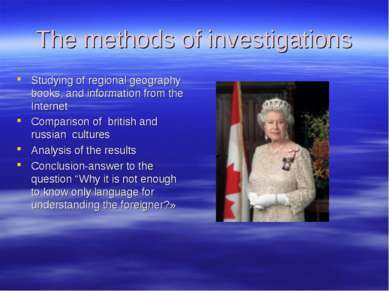 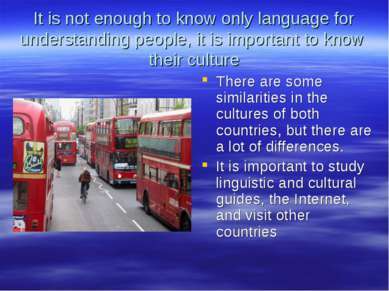 It is not enough to know only English you have to study culture too. 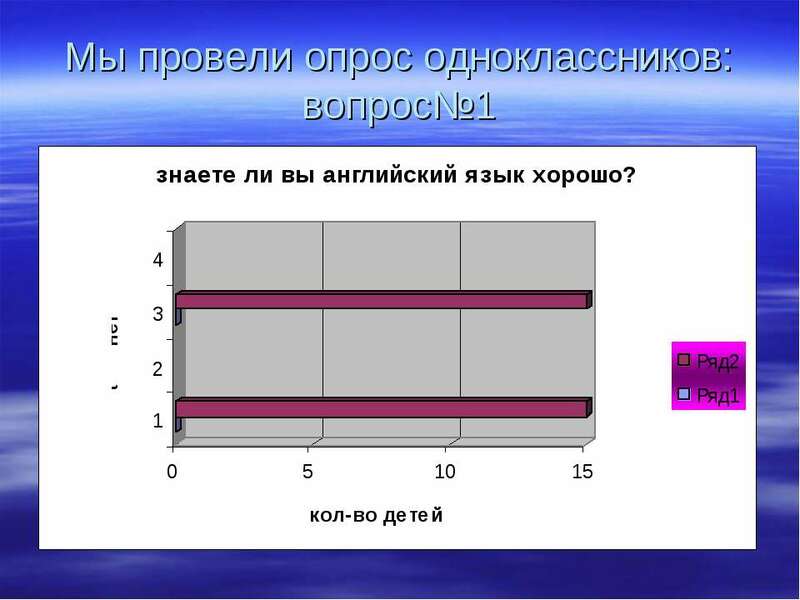 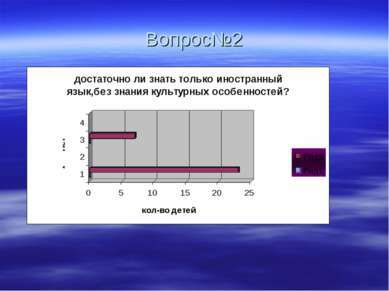 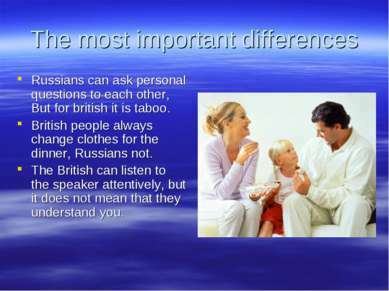 The most important differences Russians can ask personal questions to each other, But for british it is taboo. British people always change clothes for the dinner, Russians not. The British can listen to the speaker attentively, but it does not mean that they understand you. 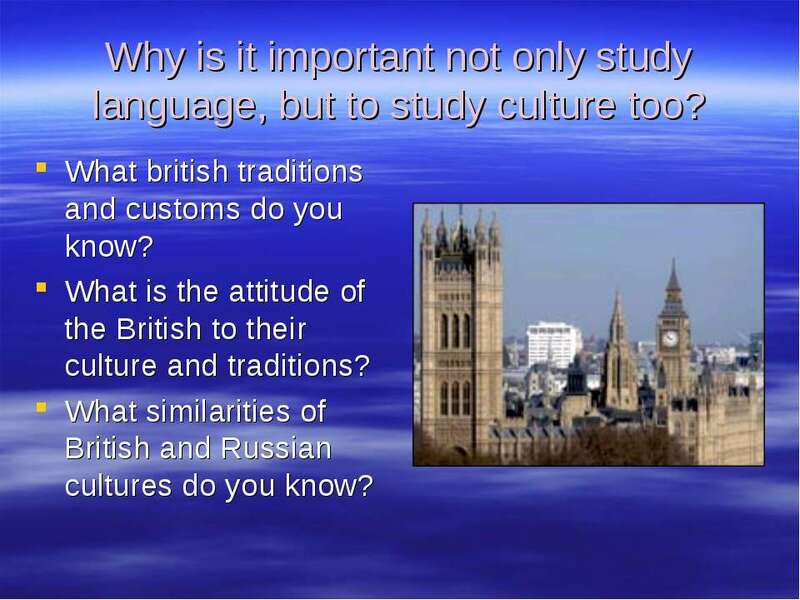 Do Russian and British cultures have similarities? 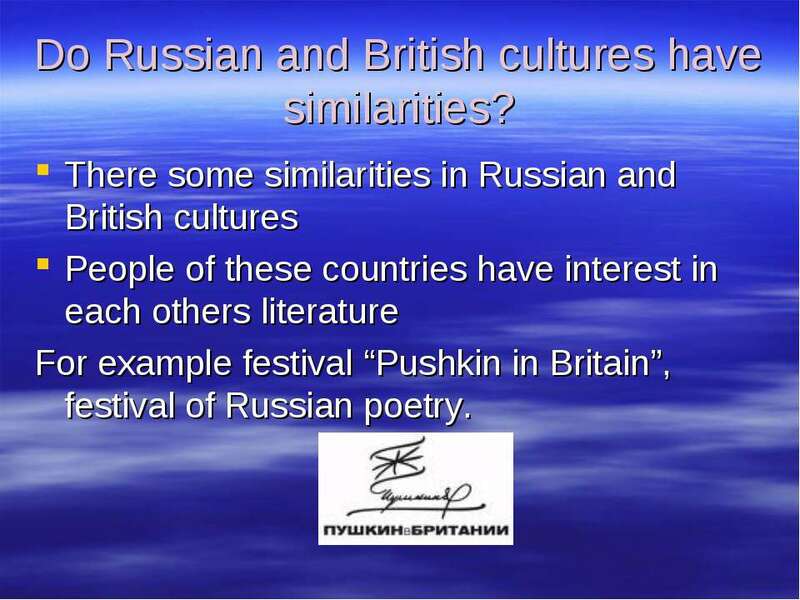 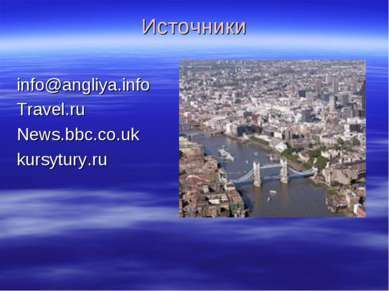 There some similarities in Russian and British cultures People of these countries have interest in each others literature For example festival “Pushkin in Britain”, festival of Russian poetry.